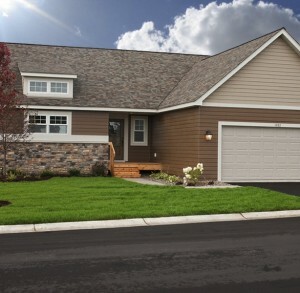 The Spring 2012 Parade of Homes began this past March 3rd and so far has been a smashing success. Thanks in no small part to the beautiful weather we have been having. We, at Michael Lee Inc., are proud to have one of our premier homes from The Villas at Wyncrest featured in the Spring Parade of Homes this year. The Villas of Wyncrest are located along Settlers Ridge Parkway adjacent to Dancing Waters in Woodbury, MN. The 37 Villas will be built along a ridge and will feature walkout villas with views to the west. Across the street the homes will be built on a slab with zero steps for those who don’t want the added maintenance of a basement or for those who prefer not to climb steps. An association has been formed to maintain all the grounds to include mowing, and snow removal in the winter making these homes perfect for those who had done their share of home maintenance. The Villas feature great new kitchen designs, dining and great rooms with vaulted ceilings and fireplaces for that added warmth to the home. We design the master suite with private bathroom, laundry and mud room all located on the main floor for your convenience. 2400 Square Feet. This fantastic new home is within public school district 834. The Spring Parade of Homes is presented by Builders Association of the Twin Cities’ (BATC) members. It runs March 3 through April 1st, 2012. All Parade Homes are open Thursdays – Sundays 12-6pm. The Spring Parade of Homes features 306 model homes and neighborhoods located in 70 cities across the extended Twin Cities metropolitan area. There are 121 builders and developers participating in the event. The Spring Parade of Homes includes three BATC Foundation Dream Homes (#3 in Edina, #106 in Excelsior, #114 in Wayzata). Visitors to those homes will be asked for a $5.00 donation to benefit the The BATC Foundation, the charitable arm of the Builders Association of the Twin Cities. Dream Home donations to the BATC Foundation help build and remodel homes for families in need. Recent projects have included several trips to build homes and school houses in Haiti, safety renovations at the home of a blinded war veteran, and a new home in partnership with Habitat for Humanity. Three homes are featured this spring, each with a $5 donation at the door (#3 in Edina, #106 in Excelsior, #114 in Wayzata). This Spring’s Guidebook features the personal stories of four local families who’ve recently bought new homes from Parade of Homes builders. Two of them are Dream Homes (#106 and #114) and open to tour, plus #111 in Minnetonka and #226 in Hugo, are also on the tour and open. 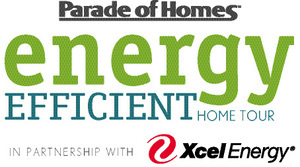 This Spring’s Tour again features an Energy Efficient Home Tour in partnership with Xcel Energy. These 115 independently-verified homes give people a chance to tour a wide variety of energy efficient homes during the tour. The Parade of Homes is introducing a new green build program this Spring called Minnesota’s Green Path. Twenty-four homes have achieved certification, and will display their Home Performance Report which documents the home’s HERS (Home Energy Rating System) index plus all above-building code green features. Visitors to any of the 24 MN Green Path homes will get a scratch-off game piece, earning them the opportunity to win great prizes like a Holiday Blue Planet gas card, iPod, golf at Legends in Prior Lake, or one of 24 keys. Game piece key’s can be exchanged for real keys at an event held on April 12th. One key will open the grand prize, a 2012 Volkswagen Jetta TDI from Schmelz Countryside Volkswagen. All homes and their builders are featured in the Guidebook available free at metro Holiday StationStores around February 20th. The Parade of Homes online presence continues to be a hub for housing information in the Twin Cities, including easy mobile searches and an iPhone app. The website, paradeofhomes.org provides a number of filters, including location, home style, school district and price. The site also includes links to social media and blog, plus handy resources for home buyers and homeowners, as well as the e-magazine Guidebook. The most expensive Parade Home (#82) is priced at $2,000,000 and is built by Denali Custom Homes, Inc. in Chanhassen. The least expensive Parade Home is an association-maintained attached home priced at $139,900 built by Dominium Dev. & Acquisition, LLC (#215) in New Brighton. The homes are scattered across a broad spectrum of prices. Six are priced below $170,000 and 17 below $200,000. A total of 196 homes are priced below $500,000, which represents over 60 percent of the entries. There are 45 homes priced from $500,000 to $599,999; 21 from $600,000 to $699,999. A total of 24 homes are priced over $1,000,000, with the most expensive house on the tour listed at $2,000,000. A total of seven of the 70 cities represented within the region have 10 or more homes open for viewing this spring, they are: Blaine: 28, Maple Grove: 15, Woodbury: 22, Chanhassen: 10, Plymouth: 25, Lakeville: 19, Savage 14.